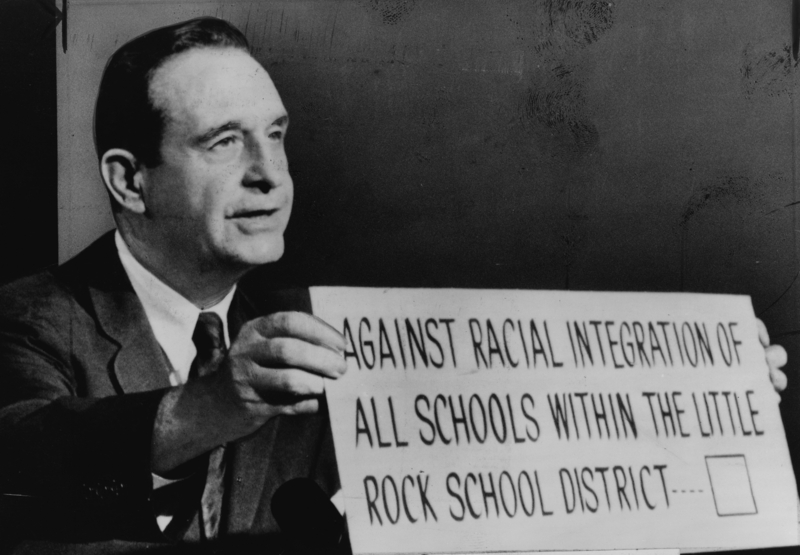 Governor Orval E. Faubus was the Governor who called out the National Guard to block nine African-American children from entering Central High School in Little Rock, Arkansas. 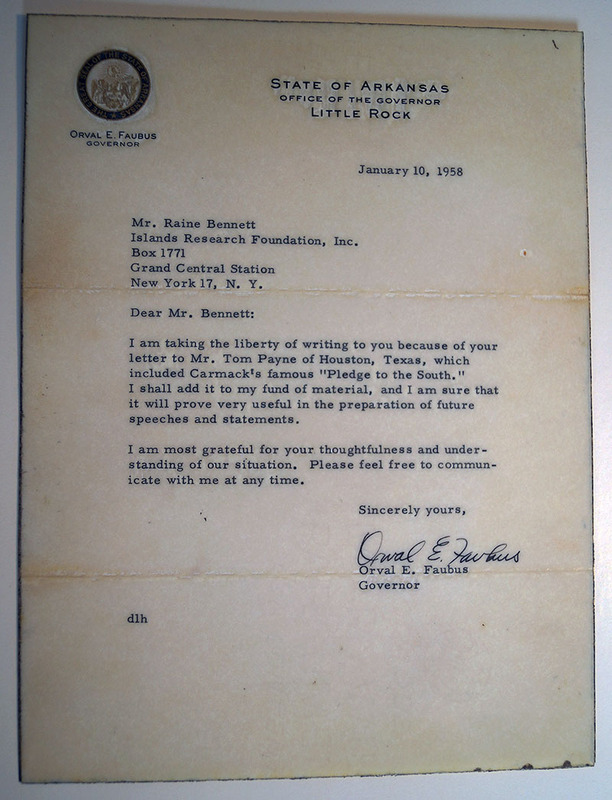 Typed Letter Signed as Governor, on colored State of Arkansas Letterhead, January 10, 1958. 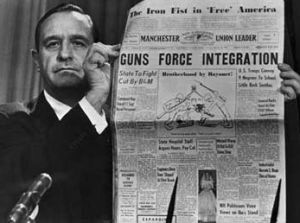 Faubus makes reference to the challenge of integration in the letter by stating (after referencing “Pledge to the South”) “I am most grateful for your thoughtfulness and understanding of our situation.” Boldly signed in black ink. 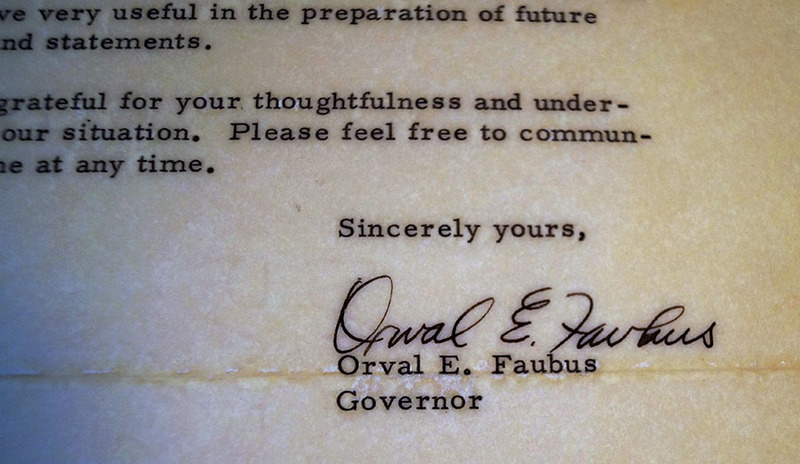 Normal folds and the letter has been laminated for protection. 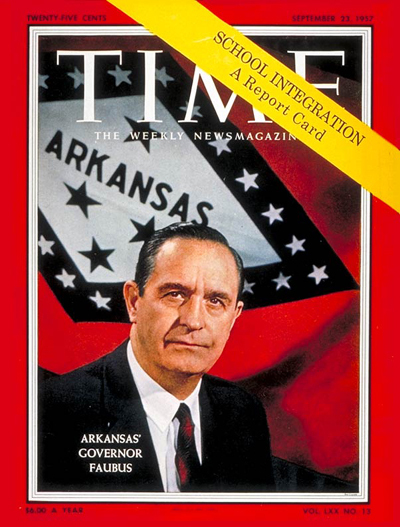 Time magazine and other photos not part of the collection (only signed letter).